Sebanti heads A&T’s program in India and provides overall technical and operational leadership to the program. 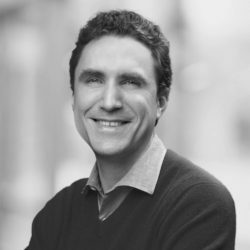 Sebanti has over 22 years of experience as public health expert, specializing in nutrition, reproductive, maternal, new-born, child and adolescent health (RMNCH+A), gender, and reproductive health and rights. 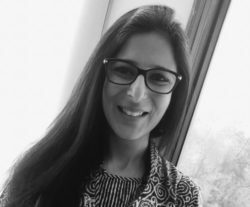 Prior to joining A&T, Sebanti was the Senior Technical Advisor RMNCH+A at John Snow Inc. She has also served in several leadership positions under the DFID supported Health Sector Reforms Programme in the states of Bihar, Madhya Pradesh, and West Bengal. Sebanti has also held technical and consultancy positions with the WHO, UN, government agencies, and various NGOs. Rajeev has over a decade of experience in public health program management. His areas of focus have included systems strengthening for maternal health, and monitoring and evaluation. 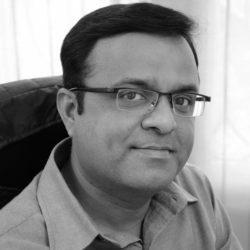 Prior to joining A&T, Rajeev worked as a senior consultant with the Maternal Health Division (Reproductive and Child Health Programme) of the Ministry of Health & Family Welfare (MoHFW). Rajeev has supported several successful flagship programs of the MoHFW such as Janani Shishu Suraksha Karyakaram (JSSK) and Janani Suraksha Yojana (JSY). He has contributed to various technical Ministry guidelines and was involved in monitoring and evaluating several reproductive and child health programs. 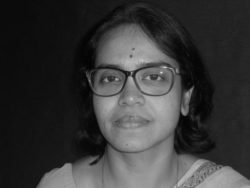 Poonam leads the knowledge management function at A&T and is responsible for systematic documentation and dissemination of knowledge products aimed at strengthening MIYCN policies and programs in India. 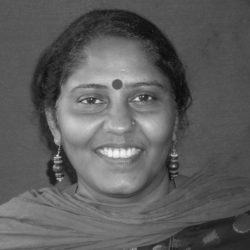 Poonam has over 15 years of experience in developing and implementing knowledge management, communications, and advocacy strategies. Prior to joining A&T, she led the knowledge management and communications component for projects funded by the UK Department for International Development (DFID) that supported the Government of India’s elementary (SSA) and secondary education expansion (RMSA) programs. Archna Ghosh is responsible for overall program management of A&T’s India program. She has over 20 years of experience in the development sector across varied areas of water, sanitation and hygiene (WASH), health and nutrition and child rights. 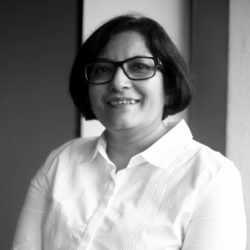 Prior to joining A&T, Archna served as Regional Advisor for South Asia with Save the Children Finland, leading projects on child rights and WASH. She has also worked for several other agencies such as UNICEF, UNWFP and Care India managing portfolios ranging from project coordination to technical specialists. Shailesh provides technical leadership to the A&T’s effort of building partnerships with Medical & Nursing Institutes and Professional Associations for adoption of MIYCN programming in their functioning – teaching & learning programs and service delivery componentsShailesh is a public health specialist with more than 10 years of experience in implementing health and nutrition programs at the district, state, and national level with organizations such as UNICEF, PATH, PHFI, and JSI. He has worked on both rural and urban projects across states and has contributed to the development of various policy guidelines and technical materials. He has also worked in emergency situations like floods and the Swine Flu pandemic. Praveen K. Sharma is responsible for providing technical leadership, management, and coordination for A&T activities in the two states. Praveen has more than seventeen years of work experience in the public health and nutrition domains. Previously, he worked for various public health projects with WHO India, University Research Co, LLC (URC), Save the Children, AED, UNICEF and Ministry of Health and Family Welfare, Government of India. Praveen had worked on technical assistance and policy development in India and South Asia in the domains of maternal, newborn, child health and nutrition. He also brings in the experience of working with the private sector, medical training institutions and professional medical associations to improve quality of care focused on Reproductive, Maternal Nutrition, Child and Adolescent Health. Versha provides overall financial management and operational support to the A&T India office. Her portfolio in the last 15 years has included managing sub-awards, finance, contracts, human resources and operations. Prior to joining A&T, Versha worked on the Essential Medicines project at the Clinton Health Access Initiative (CHAI), where, in addition to financial management, she was responsible for partner evaluations, monitoring and training, and ensuring compliance. Versha has also worked with USAID’s Linkages project, the South Asia Regional Initiative/Equity project, the A2Z project and with the Diarrhea Alleviation through Zinc and ORS Therapy (DAZT) project. Debasis is responsible for finance and operations of A&T office in Bihar. Debasis has nearly 20 years of experience in the development sector. Prior to joining A&T, he worked with the Clinton Health Access Initiative (CHAI), Oxfam GB, and Catholic Relief Services (CRS), where he played a significant role in budgeting, contract management, donor reporting, partner management and other financial and administrative activities. Dhiraj provides overall financial, operational, contractual management and administrative support to the A&T office in Uttar Pradesh. 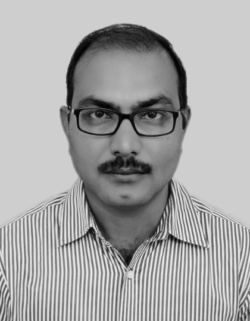 Dhiraj has over two decades of extensive experience in managing finance and administration. 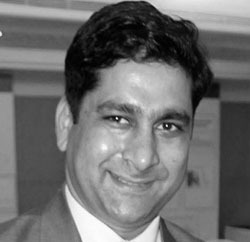 Prior to joining A&T, Dhiraj served as Project Manager-Finance & Administration at the Clinton Health Access Initiative (CHAI) for Gujarat, beforehand he worked with FHI 360’s Urban Health Initiative (UHI) Project and CARE India’s various projects, where he played a significant role in budgeting, subgrantee management, donor reporting, contract management and other financial and administrative activities. Rajendra provides operational and technical assistance in planning, implementation and supervision of A&T activities in Uttar Pradesh in coordination with government and other partners. 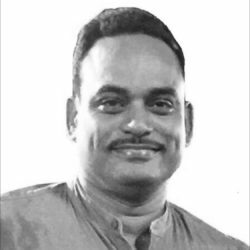 Rajendra is a public health professional with over 15 years’ experience in systems strengthening and capacity development of government officials on health and nutrition issues working with international NGOs across India. 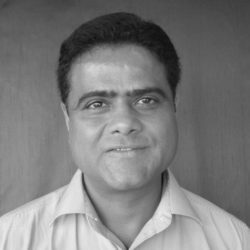 Prior to joining A&T, Rajendra served as the State Consultant with UNICEF in Bihar (also working for UNICEF in Uttar Pradesh). 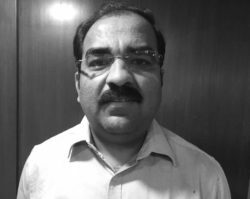 Rajendra has also held positions at the Indo-Global Social Service Society (IGSSS) and with the Micronutrient Initiative (MI) on Vitamin A and Zinc programs in Bihar. 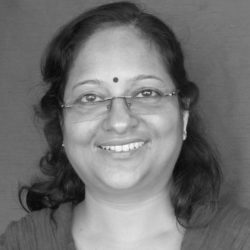 Yashoda has over 15 years of experience in various capacities in finance, administration, and human resources, and is responsible for local procurements and preparing and processing all sub-contracts, consultant, and vendor payments at A&T. Prior to joining Alive & Thrive, Yashoda worked with the Diarrhea Alleviation through Zinc and ORS Therapy (DAZT) project with the International Federation of Red Cross & Red Crescent Societies for over eight years. Ruchin provides technical leadership, management, and coordination of A&T’s SBC activities in India. Ruchin is a Communication for Development/SBC professional, with over 17 years of experience in developing, leading, and implementing strategic and result based C4D/SBC program in increasingly complex social development, response, relief and humanitarian (fragile) contexts, in South Asia, South-East & Pacific Asia and Africa, within UN and (I)NGOs. He has proven technical knowledge in multiple sectors, including integrated community development, public health, nutrition, WASH, DRR, Ebola, etc. Prior to joining A&T, Ruchin led the national social and behavior change efforts for emergency polio outbreak response in Lao PDR with UNICEF. Vishal leads the monitoring, learning and evaluation function in India. Vishal is a demographer/bio-statistician with nearly two decades of experience working at various UN agencies, government, and NGOs, including FHI 360, JHUCCP, and BBC Media Action. Prior to joining A&T, Vishal was a Senior Advisor with the William J. Clinton Foundation. 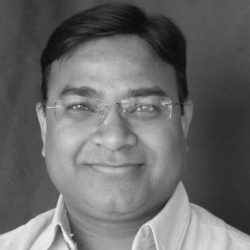 Vishal has also authored several journal articles, book chapters and scientific reports, and serves as reviewer of several international journals. 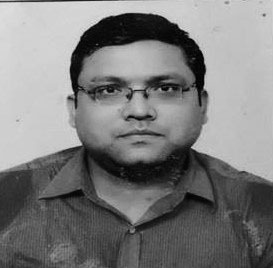 Anupam Srivastava is based in A&T’s office in Bihar and is responsible for supporting and sustaining partnerships with the government, medical colleges and hospital, private health facilities, medical associations and State Rural Livelihood Mission program in the state. Anupam has more than two decades of experience in program management in public health and nutrition. Prior to joining A&T, Anupam served as Senior Program Manager in program management in Maternal and child health and Nutrition for Care and UNICEF. Anupam started her career as a trainer on community health and community nutrition. Rachna provides technical support for strengthening and expansion of MIYCN programs, contributing to diffusion of A&T global and national learnings with state government departments and implementing partners. Rachna is a public health and nutrition specialist. 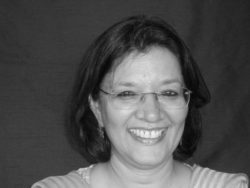 She has 20 plus years project management expertise directing high impact programs working with INGOs, research institutions, corporates and a medical college, directing diverse portfolio of programs on nutrition and cross cutting issues. Rachna has received several awards, including the prestigious Health and Population Innovation Fellowship in 2005 for Leadership Development, managed by the Population Council and supported by The MacArthur Foundation.